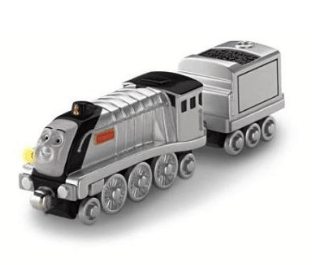 The Thomas the Train: Take-n-Play Talking Spencer Toy is on sale for $5.99 at Amazon right now. That's 40% off the list price of $9.99! Spencer comes to life with phrases, whistles and fun train sounds! Press the button to hear signature phrases in Spencer's very own voice!